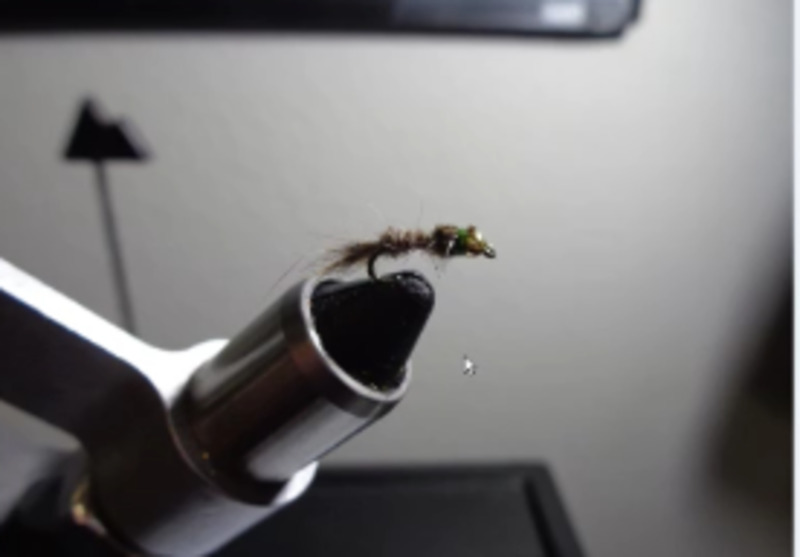 Video of trout caught on the Lower Mountain Fork River in Oklahoma. One was a 20" Bruiser that was too big for planking whole. 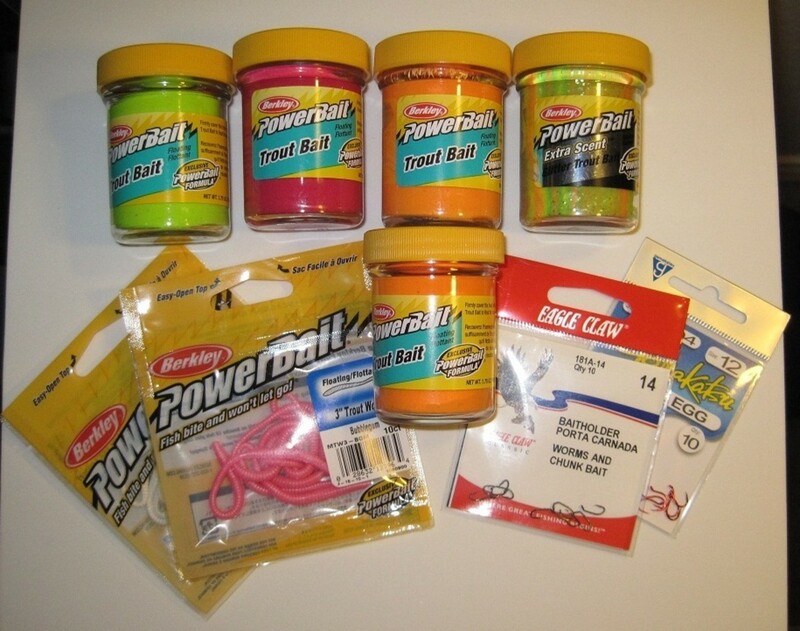 In these instances, we divide the trout into smaller sections that will fit the plank. 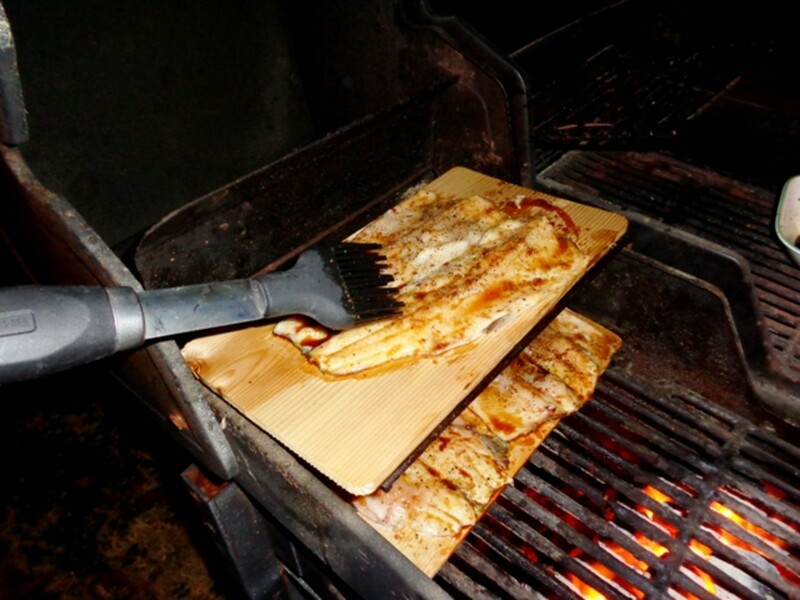 Here is a recipe for grilling rainbow trout on a plank. The plank can be hickory, cedar, or maple; it is your choice. The recipe comes from a group of avid fishermen who live in North Texas - specifically, in the city of Allen. They call themselves the COAF (City of Allen Fishing) Field Team and tend to fish often. 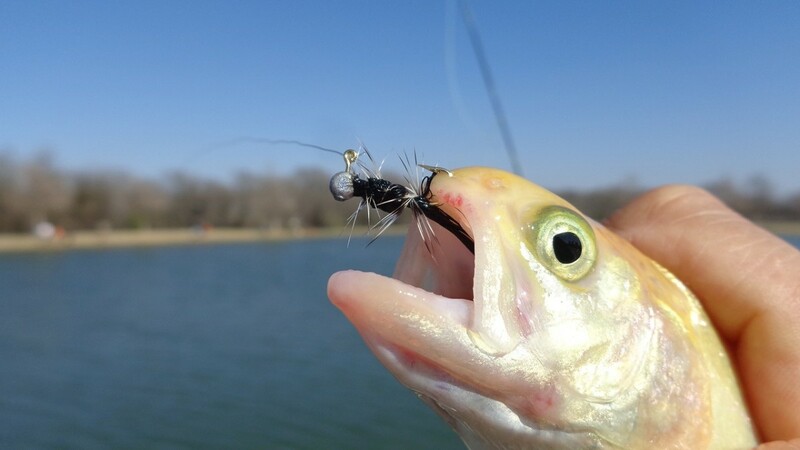 The Texas Winter Trout Stocking Season is in progress and local community lakes and ponds are receiving stocked Rainbow Trout. The Oklahoma Trout Stocking Program for the Blue River began in November and will continue until March of the following year. The Team likes fishing for Rainbow Trout! That said, in past Seasons, the Team cooked their trout by seasoning them with salt and pepper, and then pan frying them in oil. 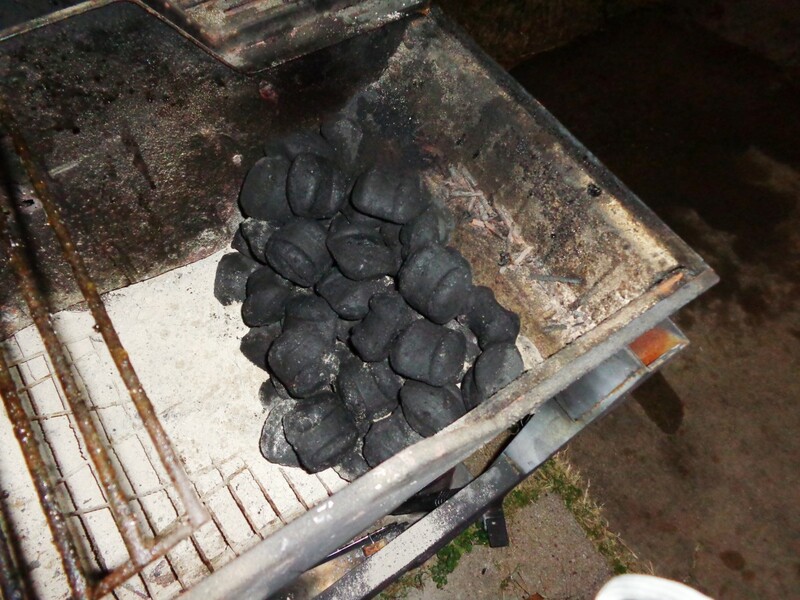 This Season, the Team decided to cook using a method that calls for soaking a hickory or cedar plank for two hours. Do check out the recipe below and give it a try. So far, we have not been disappointed with the results! Soak plank for at least two hours. Season butterflied fish with the skin side down. 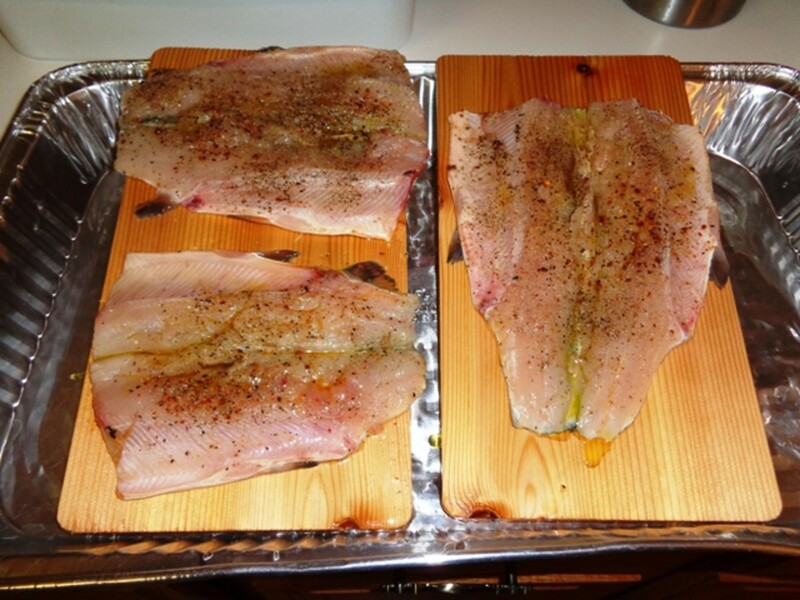 Lay fish on wood planks skin side down. Set in grill and cover. 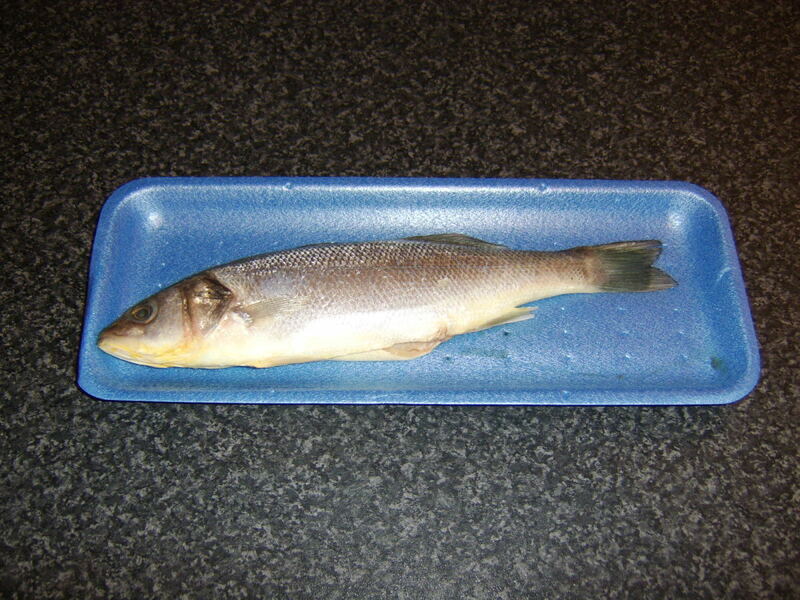 Baste fish every 15"; cook for 45" - 60". When ready, let fish sit for 5" on plank, and then using a butter knife separate meat from the skin and remove bones if not previously deboned. Serve with a side of rice pilaf and vegetables. 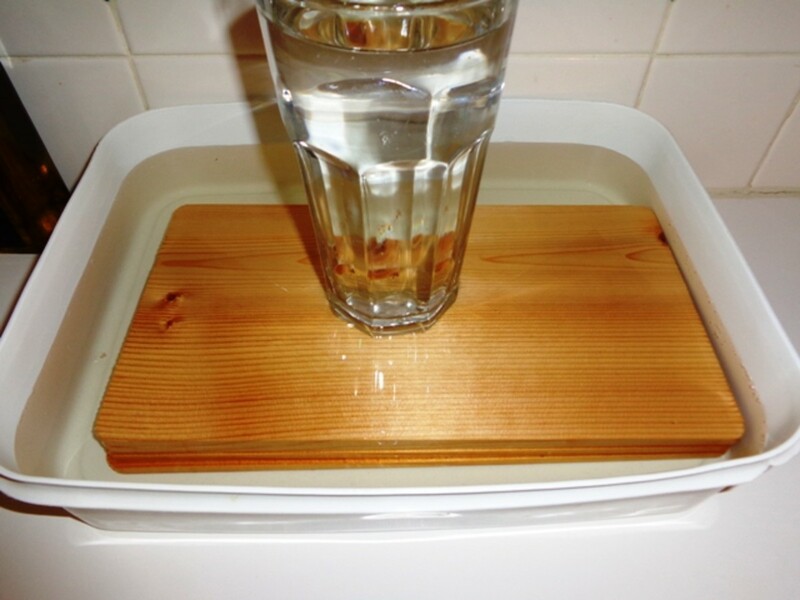 Soak wood planks in water for at least two hours. You may need to place a weight on the planks to submerge the planks completely (in the photo in the sidebar, we used a glass filled with water). While the wood planks soak, place the butterflied fish in a container that will allow them lay open with the skin side down. Next, season with a light coating of olive oil, and then sprinkle salt, seasoned pepper, garlic powder, and black pepper on the fish. Let sit in the refrigerator while the wood planks soak. About 15" prior to cooking the fish, prepare the grill by laying a base of charcoal to one side. The intent is to build an indirect heat source that will cook the fish as they rest on the wood planks. Light the charcoal and then go to the next step. 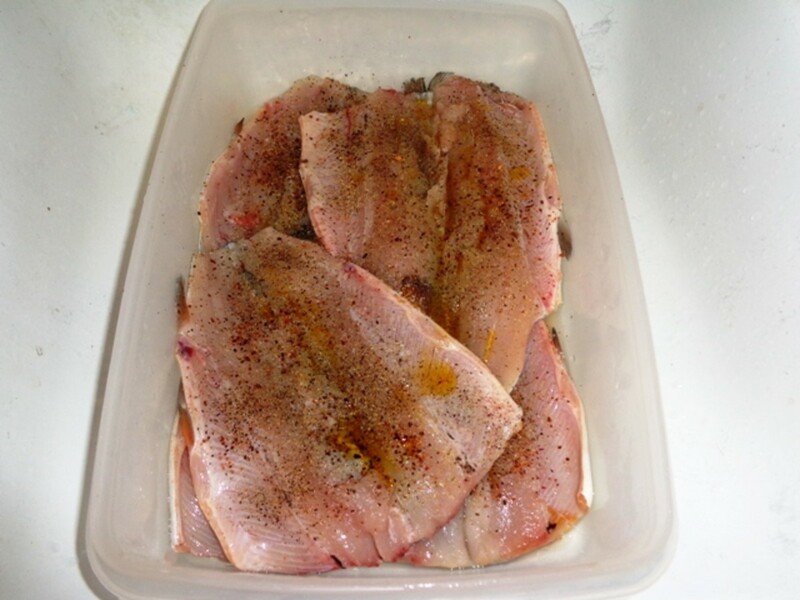 Next, remove the fish from the refrigerator and place them on the wood planks skin side down. 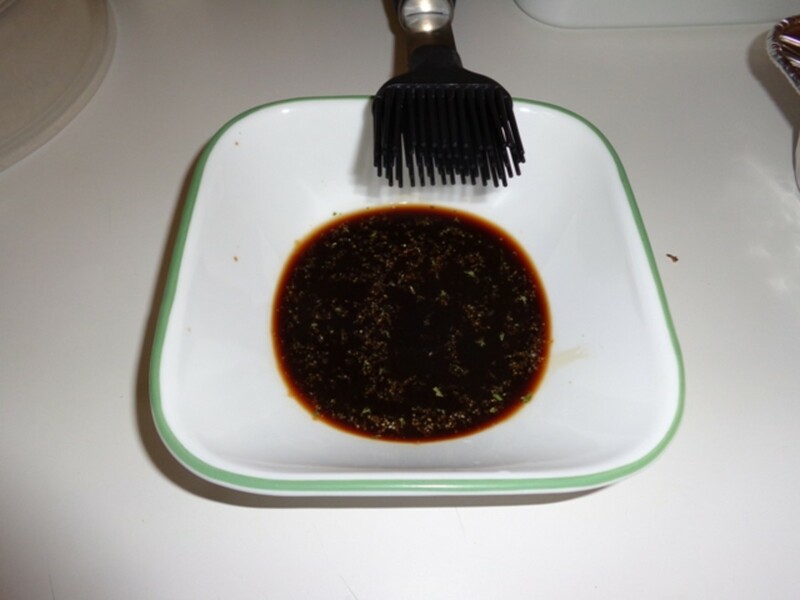 Then, mix the basting sauce using soy sauce, lemon juice, and garlic powder into a small bowl and then set aside. With the fish ready to be cooked, check the grill and confirm the charcoal is ready for cooking. When charcoal is ready, begin cooking by placing the wood planks in the grill opposite of the bed of charcoal, and then cover the grill. Every 15" apply basting sauce to the fish. After 45"-60" the fish should be done. (Note: Fish is ready when the meat flakes when checked with a fork). 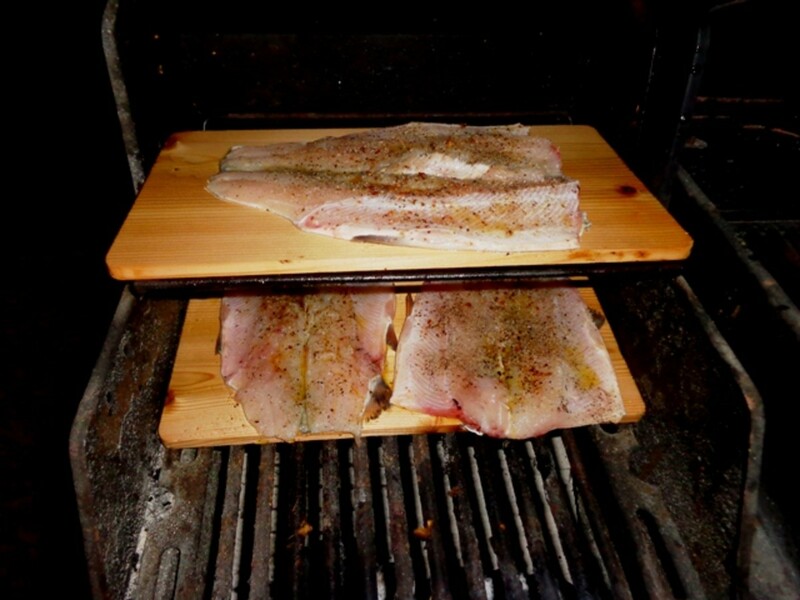 When the fish is cooked, remove from the grill and let sit on the wood plank for 5", and then using a butter knife separate the meat from the skin and place on serving platter. Also, remove bones if not previously deboned. 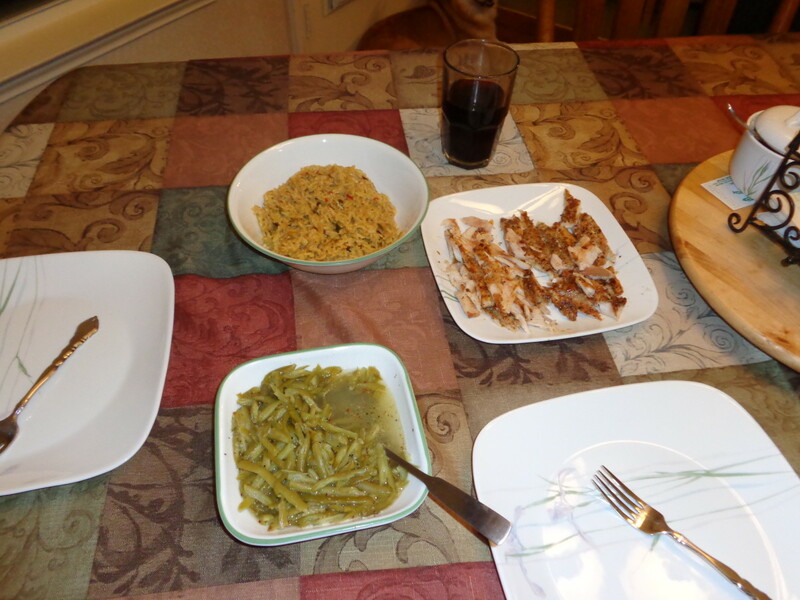 Finally, serve with a side of rice pilaf and your choice of vegetables. Where did you get the fish...? Here are video clips that show the Team catching Rainbow Trout. The first video clip was filmed on the Blue River in Oklahoma. A limit of six Rainbow Trout were caught. 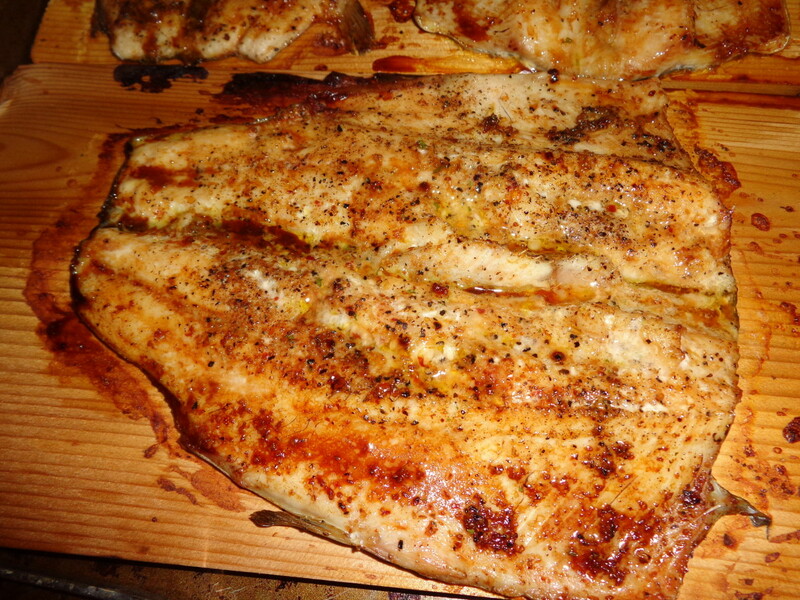 Subsequently, the same fish in the video were used in this article to detail how we cook them using the Grilled Plank Trout Recipe. The second video clip was filmed at Turner Falls Park in Oklahoma. 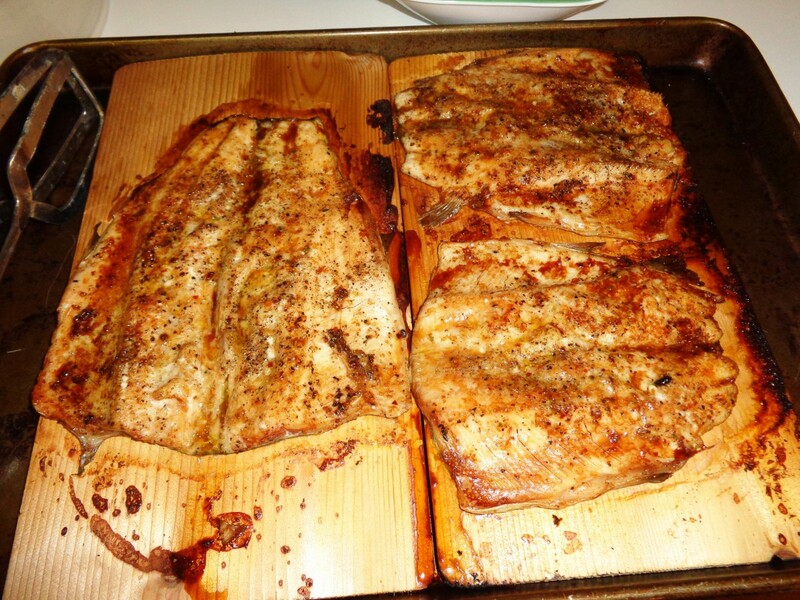 Another limit of Trout were caught and cooked using the Grilled Plank Trout Recipe. In both cases, we had a great time catching the Rainbow Trout which was made even better knowing this recipe made for a tasty meal! Till next time... Good Luck and Good Fishing! What wood plank do you like to cook with? 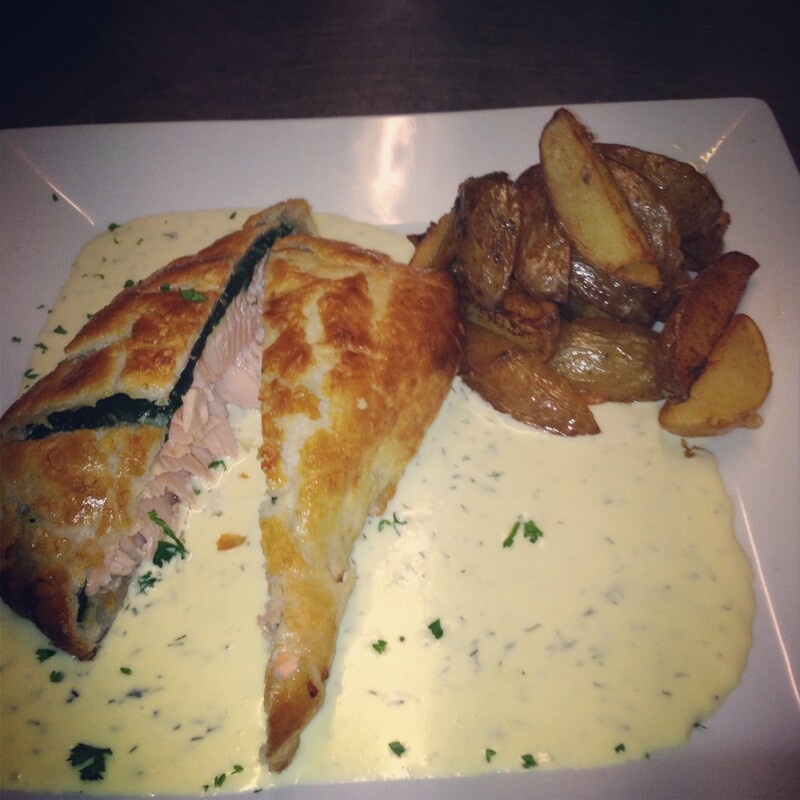 Do let us know if this recipe makes for a tasty meal when you try it out! And do keep in touch with us by posting comments in the section below. 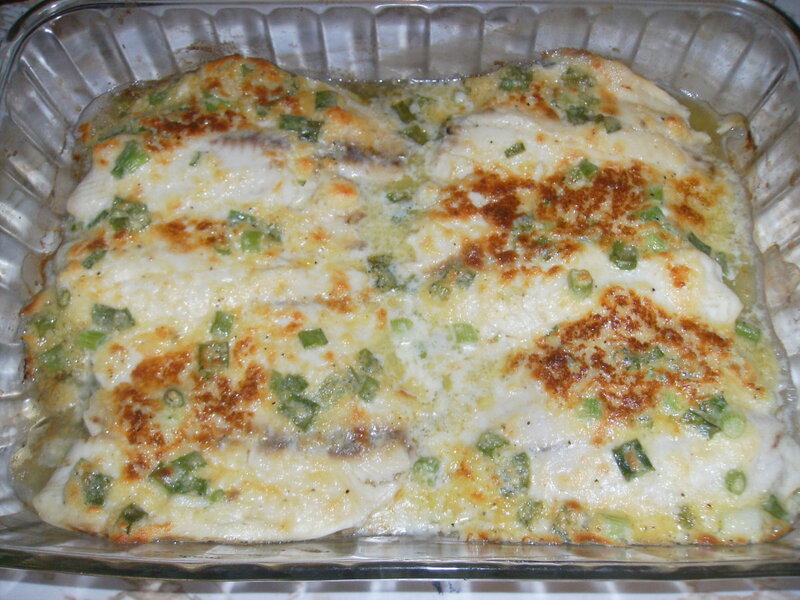 How about giving this one a try next time you have some trout to cook?